As countries throughout Europe fall prey to far-right dissent, Georgia is also witnessing gains in its own domestic, far-right movement. Though still a marginal phenomenon, the burgeoning success of these movements threatens Georgia’s European Union and North Atlantic Treaty Organization ambitions, as well as the strength of its democratic institutions. Far-right groups cultivate anti-Western sentiment and employ xenophobic, racist, and nationalist rhetoric to present foreigners as fundamentally incompatible with Georgian Orthodoxy and Georgian identity. While the roots of this phenomenon are homegrown, Russian disinformation plays a crucial role in fueling far-right narratives. In an increasingly polarized media environment that produces imprecise coverage of this phenomenon, it is difficult for the public, as well as the government, to understand how best to counteract its growth. Furthermore, as many far-right groups operate exclusively on social media, it is difficult for the government to intervene. 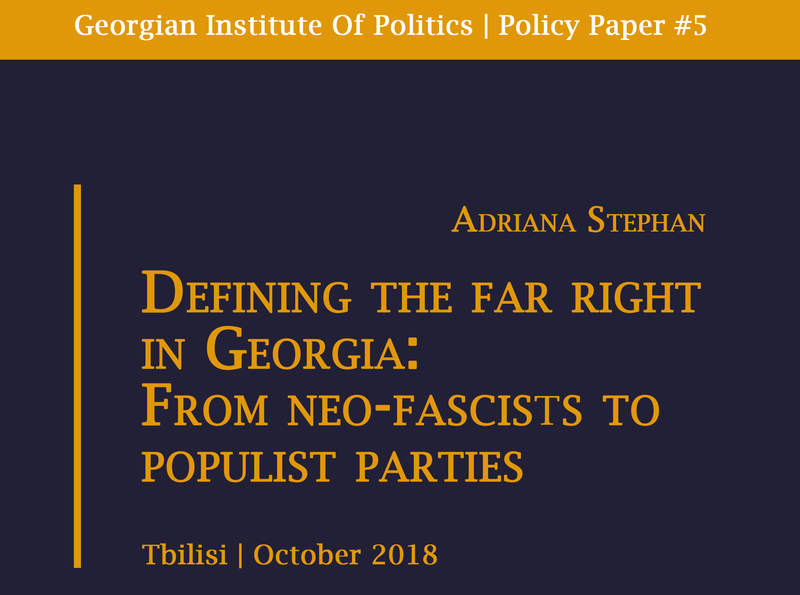 This policy paper explores the far-right problem by examining the three most prevalent far-right actors, analyzing their support base, and surveying their main messages, and proposes recommendations that have the potential to stem the rising tide of far-right momentum in Georgia.